Benjamin Graham died on September 21, 1976 at his home in Aix-en-Provence, France at age 82. When a pioneer in a profession dies at an advanced age, one generally has to go back many decades to find his last contributions. This was not the case with Ben Graham. 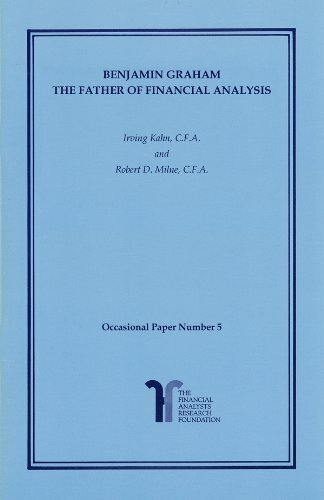 The cover of the then current issue of the Financial Analysts Journal (the September/October issue had gone to press only shortly before his death) had the portrait that adorns this publication. The lead article ended with Ben's exhortation consistently stressed for half a century: "True investors can exploit the recurrent excessive optimism and excessive apprehension of the speculative public."